The Power Wash Store is hosting a free training event in Wisconsin this May on the 22nd & 23rd! You will hear from 3 different highly educated speakers to gain more knowledge to increase your profits! Use this free training event to help earn credits towards your UAMCC certification! Join Power Wash Store in Glendale, Wisconsin on May 22nd & 23rd for a free training event! Hear from several speakers including: Paul Kassander, Andrew Snyder, Ramon Burke, Carlos Gonzales, and Tim Aselton! Join Power Wash Store in Wisconsin on May 22nd - 23rd, 2017! Learn through demonstrations and presentations given by qualified speakers! Earn credits to go towards your certification! WOW! Power Wash Store hit it out of the park at the Orlando event! If you missed it don't worry they're back! Power Wash Store is hosting another FREE training event! Hear from 5 incredible speakers at this upcoming free event! Don't miss this amazing opportunity in Wisconsin, on May 22nd & 23rd, 2017! Power Wash Store is hosting a FREE training event on May 22nd & 23rd of this year!! Hear from 5 incredible speakers including Paul Kassander! Earn credits to go towards your certification during this free event! Want to learn from the experts? Well know is your chance! Join Power Wash Store in Wisconsin on May 22nd & 23rd for presentations, live demonstrations and 5 speakers! You won't want to miss out on this free training event being hosted by Power Wash Store in Wisconsin on May 22nd & 23rd!! You will be able to cut the learning curve in half with this 2 day free event with live demonstrations! Learn from 5 speakers including Carlos Gonzales! Wanting to get more involved in the industry? Here's your chance! Join Power Wash Store in Wisconsin on May 22nd & 23rd to get more involved through networking while gaining valuable skills and knowledge! Hear from 5 talented speakers including Paul Kassander & Ramon Burke! Join Power Wash Store on May 22nd & 23rd in Wisconsin to learn more about pressure washing from the experts! Hear from 6 talented speakers including Tim Aselton You don't want to miss this FREE event!! Needing some extra knowledge as well as class credits? 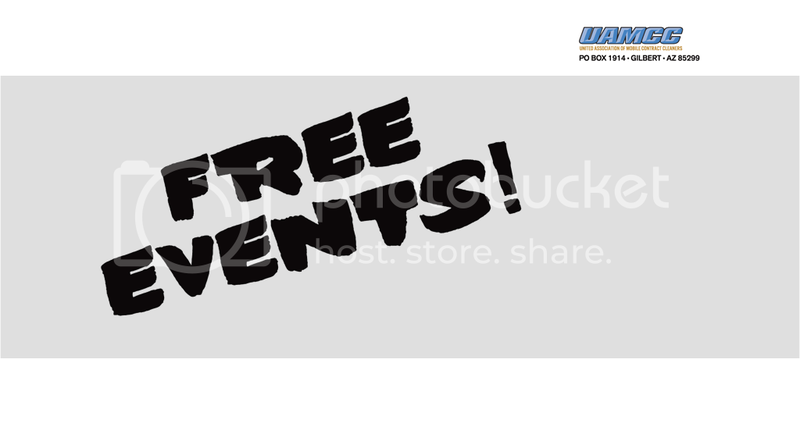 Then Power Wash Store is hosting the perfect FREE event for you! Join us in Wisconsin on May 22nd & 23rd!! Hear from 6 speakers including Andrew Snyder! Not in your area? Check out www.uamccevents.org for an event near you!! Join Power Wash Store in Wisconsin for this incredible FREE event!! It's being hosted on May 22nd & 23rd of this year! If this event isn't in your area don't worry! Instead check out www.uamccevents.org to find one that works for you! Power Wash Store is providing you with a FREE event that's going to cut the learning curve in half! Event not in your area? Check out www.uamccevents.org to find one near you! Power Wash Store is hosting a FREE training event in Wisconsin on May 22nd - 23rd! Hear from 6 different speakers! Event not in your area? Check out www.uamccevents.org to find one near you!! Power Wash Store is hosting a FREE training event in Wisconsin on May 22nd & 23rd, 2017! Power Wash Store is hosting another fantastic FREE event in Wisconsin on May 22nd & 23rd! You won't want to miss this incredible opportunity to learn from highly qualified speakers and live demonstrations!